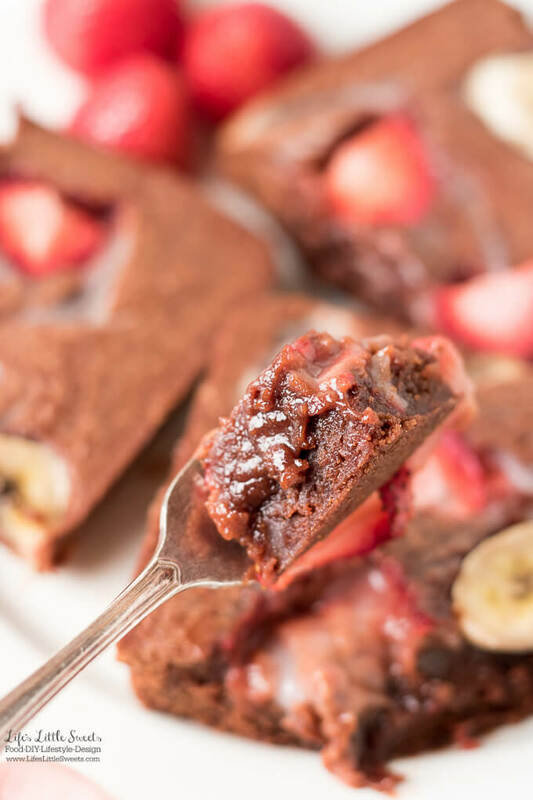 Dairy Free Strawberry Banana Key Lime Marbled Brownies are a chocolate-y, non-dairy, fruity brownies recipe. 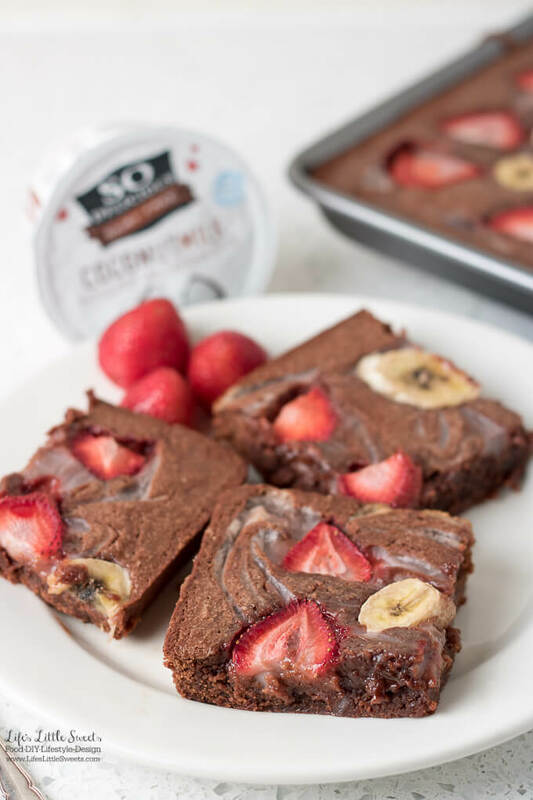 This recipe uses So Delicious Dairy Free® Strawberry Banana or So Delicious Dairy Free® Key Lime yogurt alternatives on top for a creamy, fudge-y brownie! 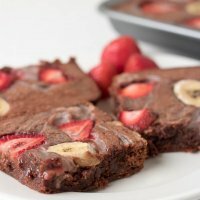 Hi Everyone, don’t you just love a good brownie? 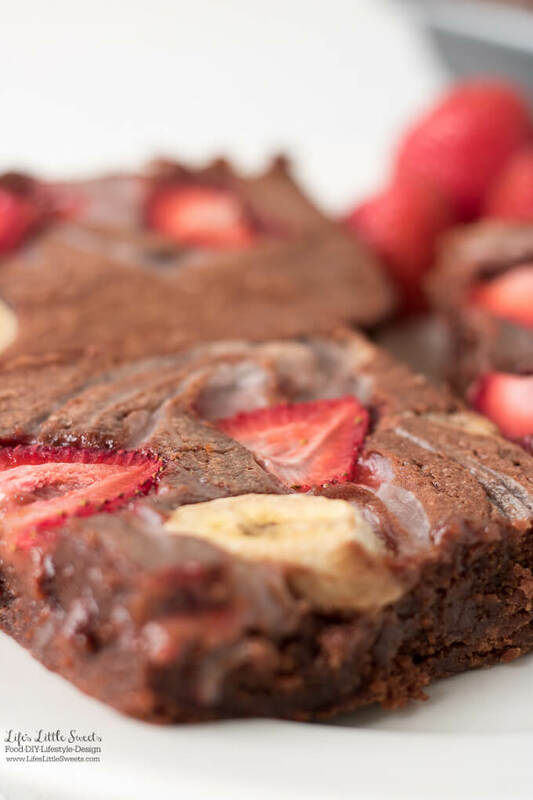 Everyone should be able to enjoy a good brownies, including those who are lactose-intolerant. My husband Eric is lactose intolerant, so I am always adapting recipes to accommodate his dietary needs. Back-to-school is literally around the corner and during this time, there is a need in our household to have tasty snacks on hand. 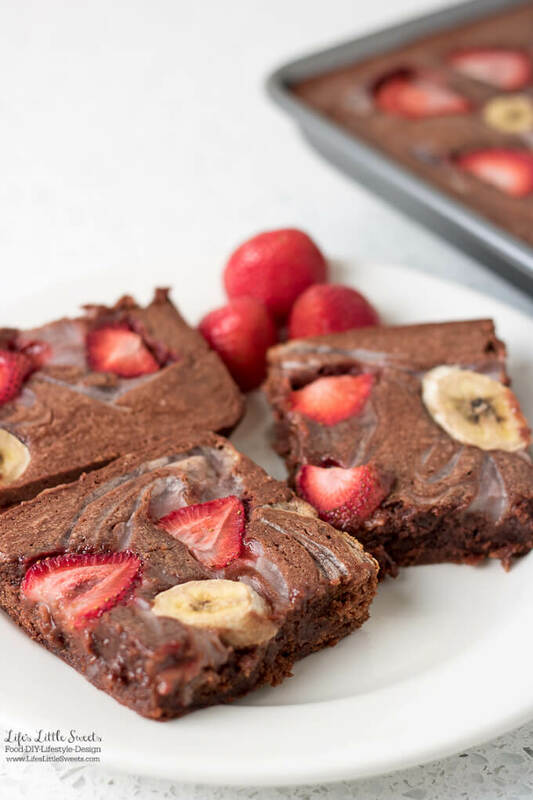 I love to make a recipe like these Dairy Free Strawberry Banana Key Lime Marbled Brownies, so they are easy to have on hand for during the week. 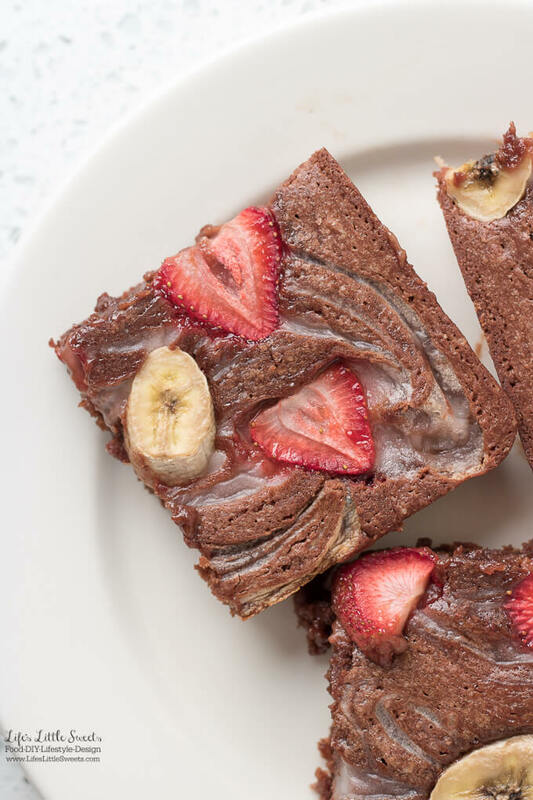 These Dairy Free Strawberry Banana Key Lime Marbled Brownies are topped with fresh slices of strawberries and bananas right before they are baked. 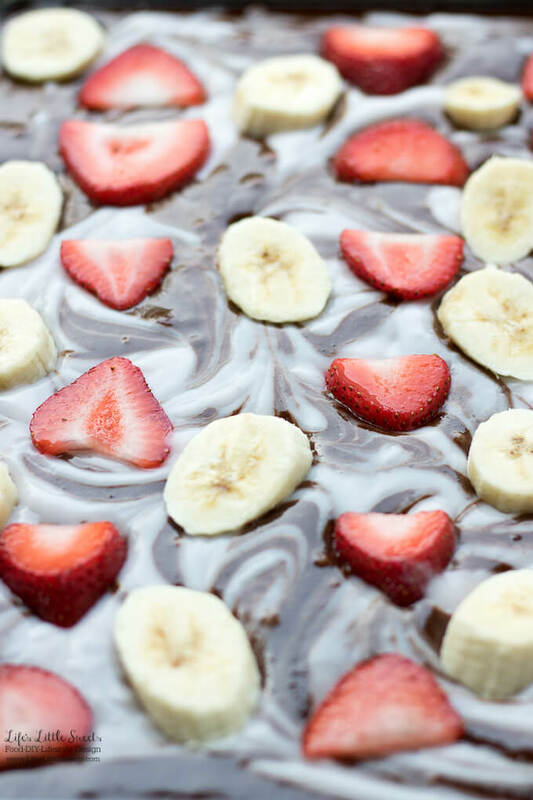 The fresh fruit and So Delicious Dairy Free® marbled topping makes them super fudge-y, you’ll just want to savor every bite. 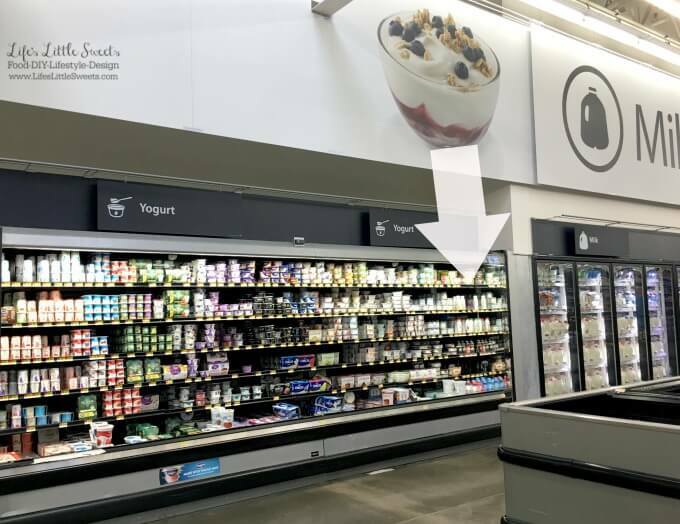 I found So Delicious Dairy Free® Strawberry Banana and So Delicious Dairy Free® Key Lime yogurt alternatives at Walmart in the Dairy section. I also found all the other ingredients for this recipe at Walmart. By the way, So Delicious Dairy Free® Key Lime yogurt alternative is a new product. So Delicious Dairy Free® Key Lime yogurt alternative is a new product! I learned that there are 10 flavors are all made with simple ingredients that are Non-GMO Project Verified, Certified Gluten-Free, and Certified Vegan. 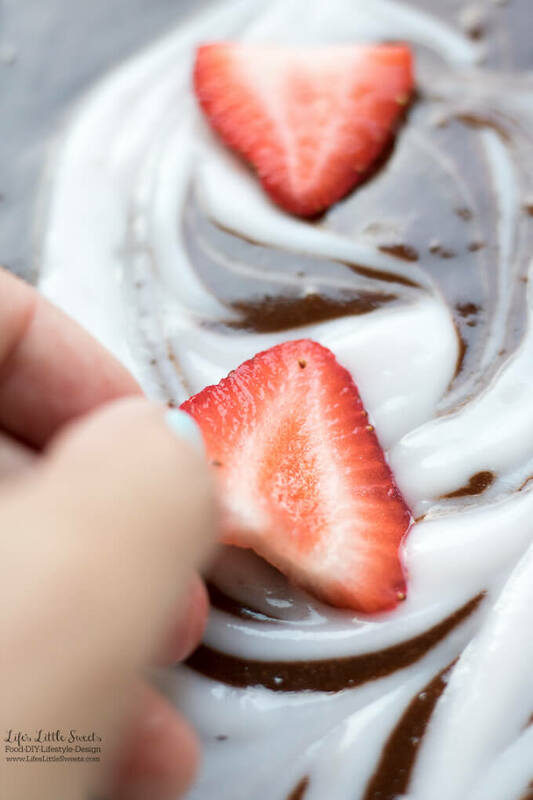 I learned that So Delicious Dairy Free® Strawberry Banana and So Delicious Dairy Free® Key Lime yogurt alternatives have less than 1 gram of sugar per serving. 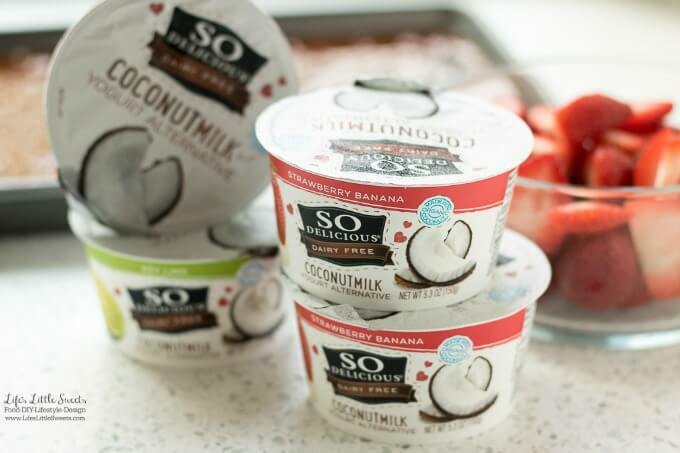 So Delicious® coconutmilk yogurt alternatives have dairy-free probiotic culture and taste perfectly tangy and sweet. I love having these in the refrigerator for when you need an in-between meal or grab-and-go snack. 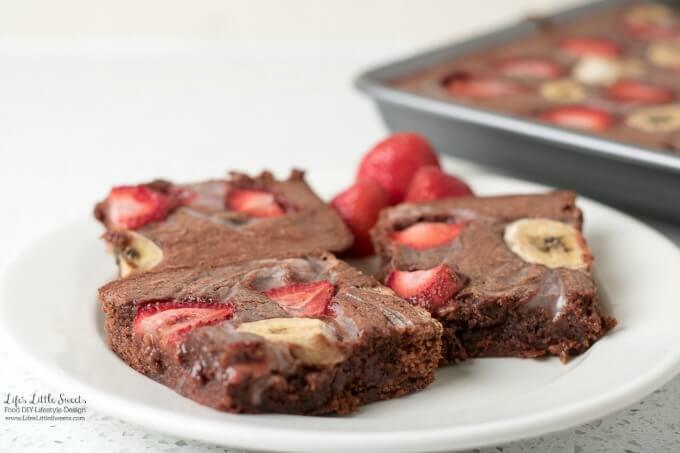 These brownies have about 10 minutes of preparation time and 30-35 minutes of baking time. 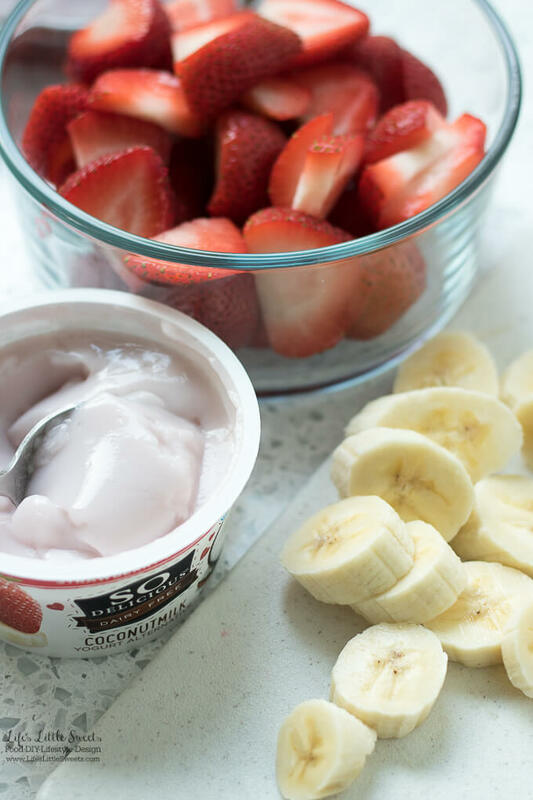 Slice up the strawberries and bananas and pick your So Delicious® flavor: So Delicious Dairy Free® Strawberry Banana or So Delicious Dairy Free® Key Lime. 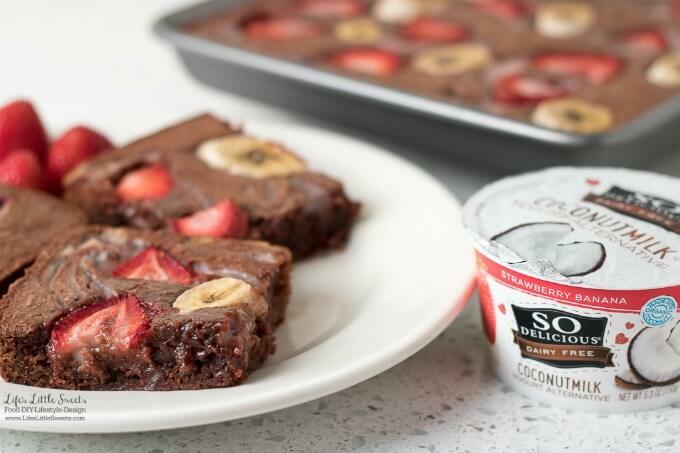 Dollop the So Delicious Dairy Free® Strawberry Banana or So Delicious Dairy Free® Key Lime on top of the brownie batter. The swirls are all done! Now it’s time to add the fruit! 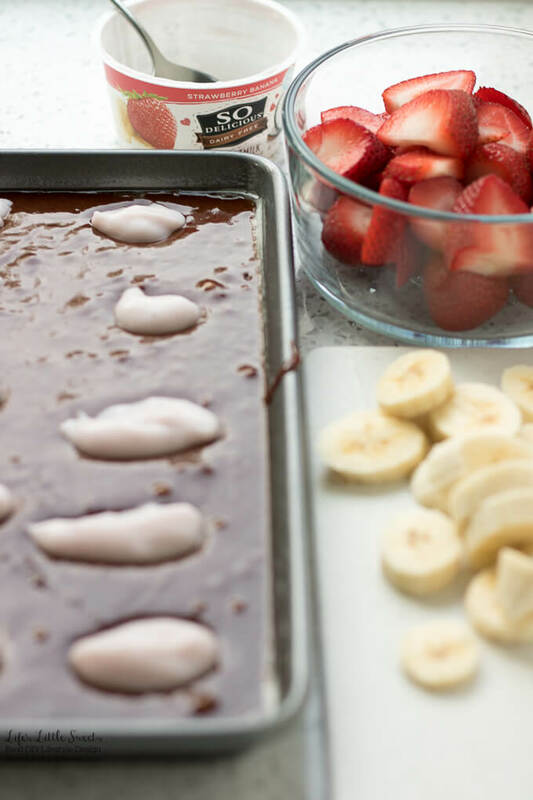 I know you will love this Dairy Free Strawberry Banana Key Lime Marbled Brownies recipe! Grease a 13 x 9 inch brownie pan with cooking spray, set aside. Mix all the dry ingredients together (flour, cocoa, salt, sugar) in a large mixing bowl. In a 2 cup wet measure, add Canola oil, vanilla extract, 5 large eggs and stir together. Pour the wet ingredients into the dry ingredients and mix together until combined with a whisk or electric hand mixer. Pour evenly into the prepared 13 x 9 inch brownie pan. Dollop the contents of 1 container of So Delicious Dairy Free® Strawberry Banana or So Delicious Dairy Free® Key Lime yogurt alternatives evenly along top. 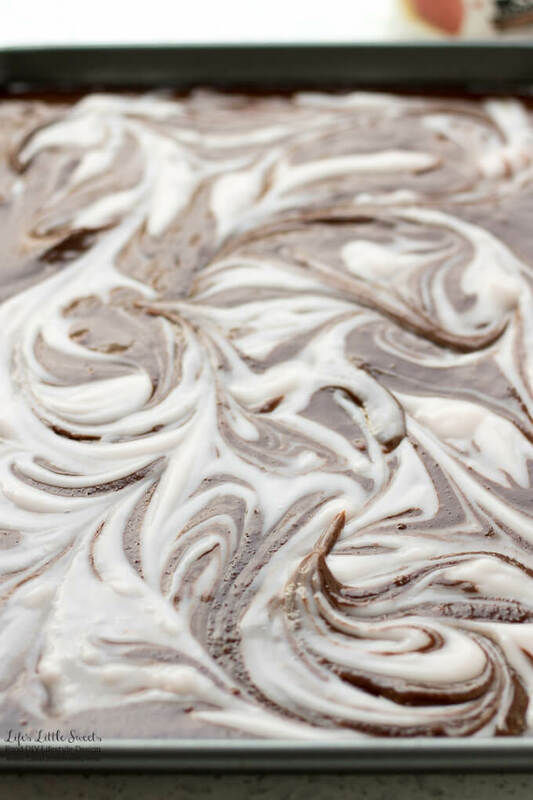 Using a chopstick or a toothpick, marble to top of the brownie batter into swirls. 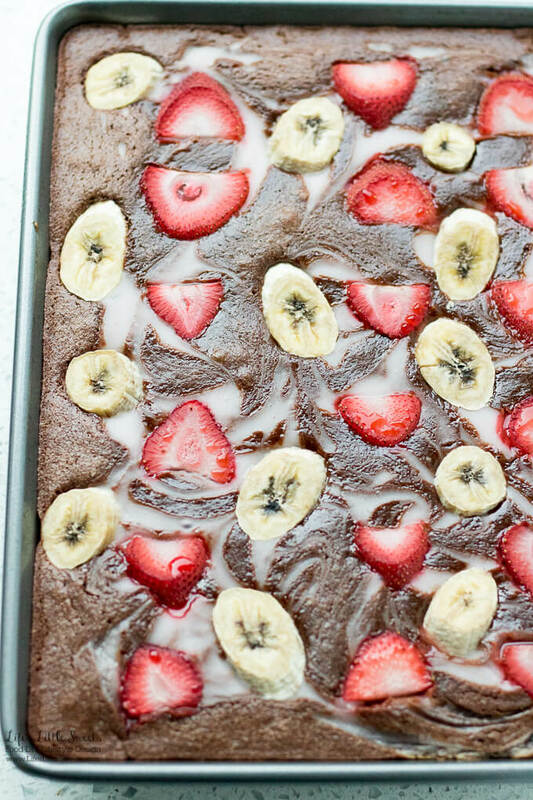 Evenly add the strawberry and banana slices to the top. Bake for 30-35 minutes in the preheated oven or until cooked through. 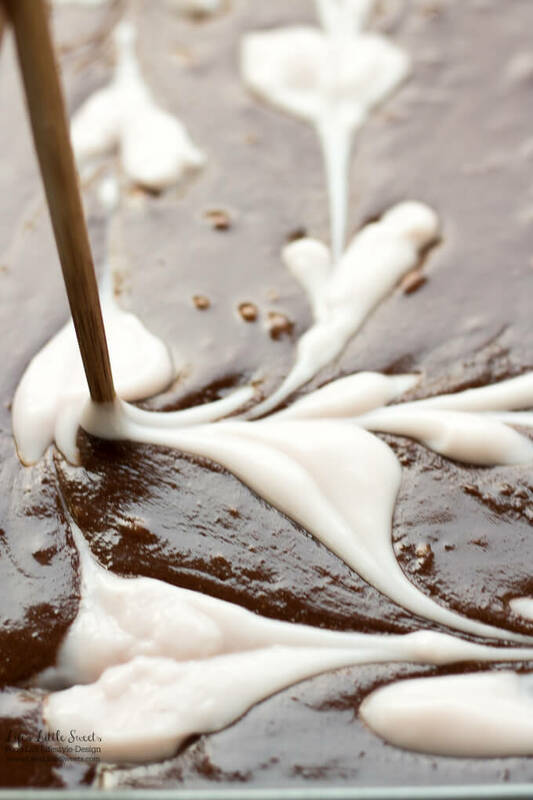 To check for doneness, insert a knife or toothpick into a part of the brownie (avoiding the fruit or marbled areas) and it should come out clean. 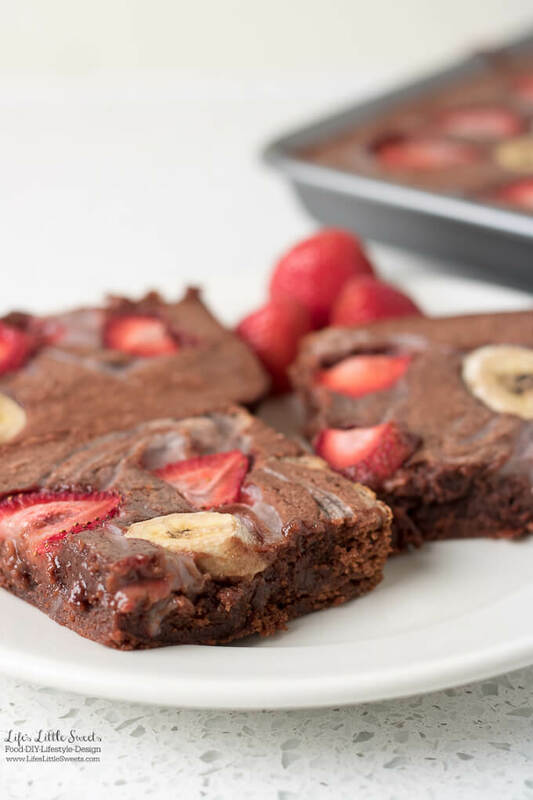 The brownies may be more "wet" looking around the fruit and the marbled areas because of the juice from the fruit, as long as the brownies are cooked through then they are done. Allow to cool for 5-10 minutes before slicing so they can set. Enjoy!